These selected works and websites will help you to quickly find a definition, explanation of a process, or a brief introduction to a concept. This huge reference work focuses on processes rather than organisms. Each entry has a bibliography for further reading. The Species 2000 & ITIS Catalogue of Life is planned to become a comprehensive catalogue of all known species of organisms on Earth. The present Catalogue is compiled with sectors provided by 66 taxonomic databases from around the world. 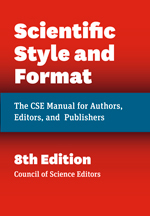 Many of these contain taxonomic data and opinions from extensive networks of specialists, so that the complete work contains contributions from more than 3,000 specialists from throughout the taxonomic profession. National Center for Biotechnology Information (NCBI) Taxonomy Browser. Contains the names of all organisms that are represented in the genetic databases with at least one nucleotide or protein sequence. Animal Diversity Web is an online encyclopedia with a large searchable encyclopedia of the natural history of animals. Trying to come up with a good research topic? See what's going on in Biology news. Journal articles are where you will find empirical studies, literature reviews, meta-analysis, and other types of scholarly communication. In order to search through the scientific literature, databases have been created to be finding tools. For those who like to browse a list, this is an Excel spreadsheet of all CSUSM periodicals (print and electronic) in call number ranges GB, GC, GE, Q, R, S, & T. Search the library catalog by Title if you do not find the title you are looking for.